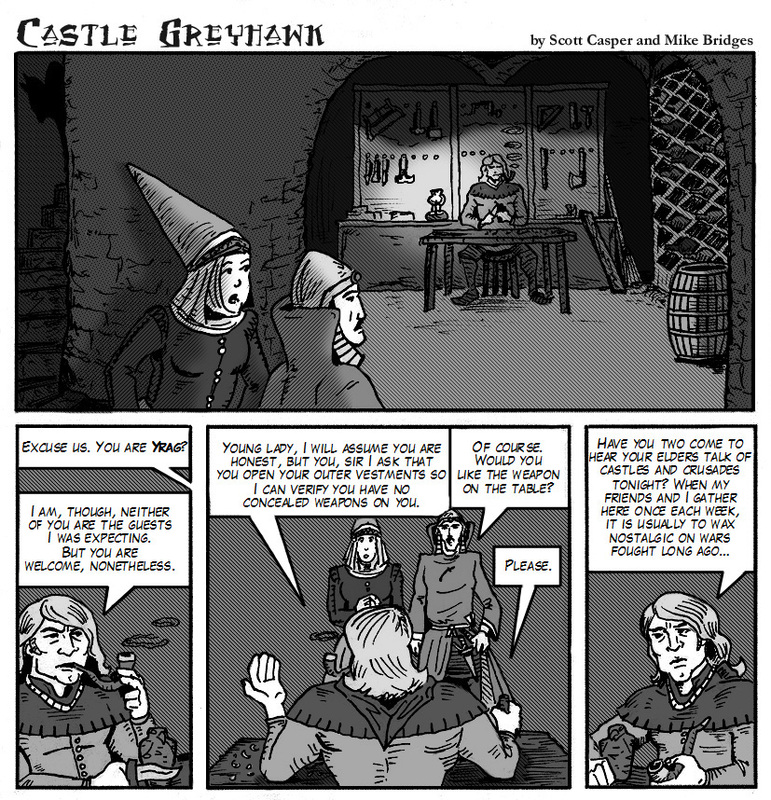 Page seven of the Castle Greyhawk graphic novel adaptation is now up over at our dedicated blog where you can read it from the beginning. 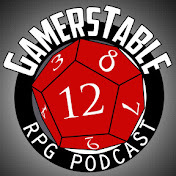 You can also download the latest episode here, courtesy of Maldin's Greyhawk. "As is obvious, the Oerik continent is the major center of the world, and the easter portion, the Flanaess, is the center of enlightened humanity. Oerth has four great continents and countless islands, and four great oceans and countless seas which surround these bodies of land. Little is known about the lands of the western portion of Oerik, less still about the savage inhabitants of the other continents, but such knowledge is, of course, of little use anyway and of no importance to humanity." This simple yet elegant introduction was enough to keep fans of the setting focused inside the boundaries of the Flanaess for decades. For game purposes there was never any need to know more. For characters, it's common knowledge the Twin Cataclysms destroyed the old world and the survivors rebuilt their civilization in the east. End of story? Perhaps not. Since the world of Oerth was unveiled (surprisingly there is still room for mystery) the game's boundaries have been chipped away gradually over the years in everything from the Living Greyhawk Gazetteer to Dungeon Magazine. The point of all this is, as world development progresseses, how long can we continue to accept that the Flanaess is the center of enlightened humanity and the lands outside it are not important? This attitude is easily explained in game, for sages and scholars don't necessarily have the means to explore beyond their confines yet. Oerth is literally the center of the universe, so it comes as no surprise then that the Flanaess is also considered the center of civilization on Oerth. The quote above is supposed to be based on the perspective of the Savant Sage who lived at the end of Oerth's Epoch of Magic, an undefined future point where the Flanaess is still thought of as the center of civilization while the rest of Oerth is of little importance! Outside the game, how can this be reconciled with the wealth of information we now have about the rest of Oerth? The fact that the Guide is said to only be volume three of seven might explain their omission within the setting's narrative but it still downplays their importance. Could the mountains, seas and deserts of Oerth be enough of a buffer between the Flanaess and beyond to keep global centers of civilization apart for the next few centuries? Is arcane magic and divine interference factors? The caveat for authors and artists developing areas "beyond the Flanaess" thus, is inadvertently creating a new scene that might exceed the so-called center of enlightened humanity we already know and love. Vast regions of untapped potential like the Celestial Imperium (Suhfang), Lynn, Zindia, etc. beg to be populated with their own cultures and stories, but as they add up and interconnect like Western Oerik, the result is that the Flanaess starts to look smaller. Indeed, shouldn't the perspective of those "little known" lands be that they are the center of civilization and the Flanaess is the isolated backwater? It's an interesting exercise in game balance and world building; one that I hope Greyhawk fans take into consideration so that the importance of the Flanaess setting isn't diminished. It's Monday and time to catch up on a few bits of Greyhawkery from the internet. Speaking of maps, check out these excellent downloads being shared by Dragonsfoot forum member Chris L. He has created a layered PDF Flanaess map for his home campaign set in 576 CY. As the map is layered you can turn on or off various elements of the map from labels to hex grids or even entire oceans! It's incredibly cool. Follow the link below to download the PDF and even an Adobe Illustrator file with vector art. Chris' password is "public". Get it while it lasts! Last but not least there is the controversial publication, BDKR1: The Unofficial Living Greyhawk Bandit Kingdoms Summary. This project is a true work of passion by Casey Brown and fellow Living Greyhawk contributors Britt Frey and Austin Judd. 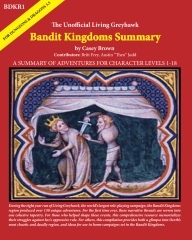 As its name implies BDKR1 is a chronological indices of over 130 Living Greyhawk Bandit Kingdoms adventures and storylines created over a period of eight years. Each entry has a short plot summary, setting details and additional commentary. BDKR1 also has a general timeline of events in the Bandit Kingdoms from 579 CY to 598 CY (the end of the LG campaign) and extras like memorable quotes from LG Bandit Kingdom regional players. Needless to say the Summary an amazing work of editing and shows the exceptional dedication of the BK region's fans; so much so that we'll probably never see this feat repeated. Despite my high praise for the effort, I won't link to it for obvious reasons, but if you really want to find a copy of the Summary I'm sure Greyhawk fans are savvy enough to find it. As part of my research for the Sea Princes campaign, I looked through several canon sources for famous ships and captains to inspire my adventures. Whether I end up using any of these to spice up the campaign is left to be seen, but I thought I'd share the collected lore with everyone just for fun. This list is by no means exhaustive and I've inadvertently forgot to list my sources so you'll just have to go with it. If anyone knows some important additions I'd love to edit them into this lineup. Eternal Sun (Slaver Cog) Captain Sal Benyan (F5) Man with an iron will and an eye for the ladies, considers himself handsome despite scars. Longspan (Slaver Cog) Cpt. Mar Kell (F5) Cold, ruthless, fascinated by testing his prisoners. Radiance (Slaver Cog) Cpt. Yayson de Marillio (F5) Prefers silence, removes tongues of those who talk too much. Commander Wilbrem Carister (F9) Greyhawk Domain. Barrel of a man with tattoos. Has a parrott named Erule (A polymorphed fomorian ). Bloody Grady Popular privateer who found the lure of gold a greater master than his lady fair. Gravedigger Merci Female pirate, who has put many a man in the ground after granting him the grace of digging his own grave. Angelthroat Anhke Garrote Half orc pirate who hung his own crew for killing a magistrate’s son and costing him the ransom. Davis the Reaver (F10) Commands 12 pirate ships out of Elredd. Orc cog (6), human cog (4), slave galley(2) with two more under construction. Sea Dragon (Cpt Davis’ flagship). Tough, bull-headed, likes to show off power. Stylish clothes and beard. Pirate’s Plunder Cpt. Sammael (F5) Part of Davis' fleet. Captain Earwulf Captain of a slavelord vessel. Unnamed Rel Astran caravel Proved circumnavigation of Hepmonaland is possible. Blue Nixie Cpt Soller Vark (Owned by Livinia Vanderboren of Sasserine). Sea Wyvern Caravel of Captain Amella Venkalie. Purity’s Prow Capt Lars “No-Neck” Helvur (Scarlet Brotherhood privateer caravel from Narisban). The Rage (caravel derelict in Journey’s End sargassso). 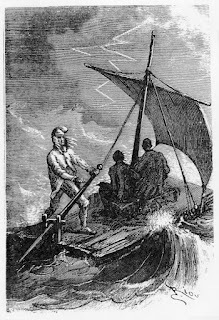 The Thunderer (caravel wrecked in Journey’s End sargasso). Cold Captain Wyther (leader of the Crimson Fleet, Demogorgon worshiper) Commands the Crimson Scar. The Anger, The Two-Faced Wretch (formerly Capt. Wyther’s), The Baeldictum, The Glad, The Fortitude (Decommissioned Crimson Fleet ships). The Ghoul Slavelord galley. Captain Girana. The Sea Ghost Smuggler ship near Saltmarsh. Capt. 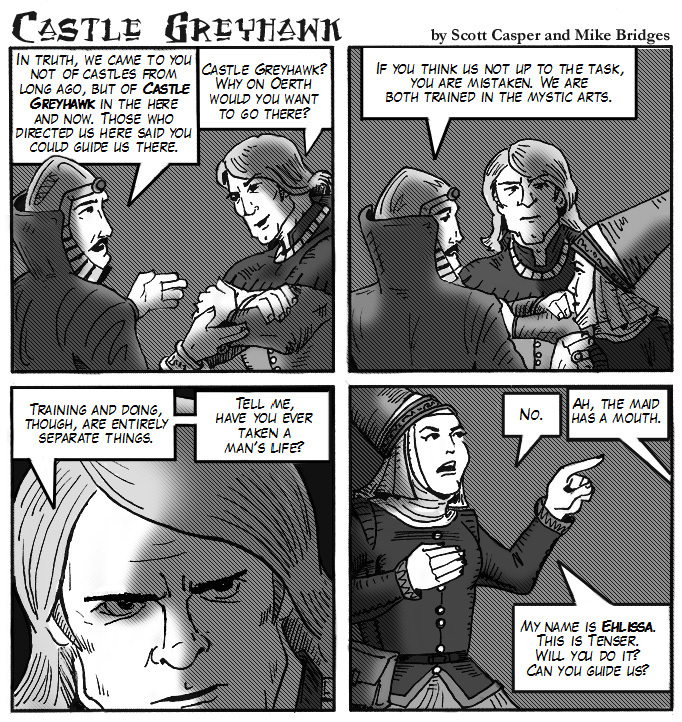 Sigurd "Snake Eyes"
Page six of Scott Casper's Castle Greyhawk graphic novel series is now up over at our dedicated blog where you can read it from the beginning. You can also download the latest episode here. Henri stumbled down the beach after the paranoid Ellis Blackwood feeling the effects of the poison run through his system. Then suddenly Ellis is knocked aside by a form out of the shadows, the affable Brother Pickles! As the man fled into the jungle night, the other two marooned sailors huddled by the fire and watched as Henri hugged his dim-witted friend and carefully asked for his assistance in fighting the poison. Earlier that morning on the Lydia's Light, Brother Pickles had been unfettered at the request of Sister Aurora, but she had no idea that the loyal sea cleric would jump off the ship and swim all the way for the small islet to join his friend Henri. The Light would not look for the cleric, he belonged to the sea gods. Washing up on the far side of the island, he walked around to Henri's side by night just in time to slow the poison in his blood so that he could lay on healing and apply proper treatment. Henri made it through the night and the next morning, the two Keoish sailors decided Pickles was as good a man to follow as any. Even the touched man knew what needed to be done; they needed to build a raft to get off the island. The marooned men set about foraging for water and food while using any means possible to fall trees and secure them into a raft sturdy enough to carry them all back to Narisban. Unfortunately Ellis Blackwood was the craftsman and was now hiding on another part of the isle (making his own smaller raft by the by). As they searched the island again (wary of four armed gorillas) they came upon a sea cave where lay a dead man bloated and discolored, surrounded by the shells of many poisonous Jitta clams. To Henri and Pickle's surprise it was the despised and not at all resourceful Lord Ronaldo Key, marooned there only days before them. Around his neck he still wore the silver owl necklace that had led to his punishment. The men wondered about his fate, took his assorted belongings (including 100 g.p. a broken knife and his expensive shoes) then buried him the best they could. Their raft took six days to complete, and with scavenged supplies loaded the four men set off on an overcast day, hoping that Henri's sense of direction would lead them to South Olman Isle. It wouldn't. In Scuttlecove, McGrath was ordered to send his harpies away, but the gruff captain claimed no control over them as he didn't have the key. Then it dawned on Cuahto, he still had the golden key he had discovered many months ago in the captain's quarters on the Hideous. Captain Rennaud came to his senses and urged the pirates closer to make the exchange even as they nervously watched the Bird of Prey fire at them. Cuahto then fished out the key and held it up for the harpies to see. He would free them of their magical anklets if they would only turn on their oppressors. The monstrous winged females screeched in glee and caught the key as it was tossed up to them. Seeing this, the sage was quickly transferred to the arms of Rennaud while McGrath was allowed to jump across from one boat to the other. Turning, Ironclaw removed his raggedy hat and saluted his enemies. Victor Hammond nodded and tossed the captain's distinctive cutlass back to his hand; an honorable gesture that would surely not be forgotten. The pirates rowed back to the docks in haste as the harpies angrily gave chase. Rennaud winced and ordered his launch to row back to the Prey just as fast. The seatowers then began to throw heavy catapult rounds at the two waiting ships and Araxo in turn called for covering fire (he wanted to hit McGrath in truth), sending lead balls sailing back at Scuttlecove in a haphazard fashion. The launch was lifted back up and the two ships immediately departed the isle of Sekorvia before any pirate ships could set sail and give chase. The wizened Lockard Meek was finally safe and unharmed, but the one who sought him, Cpt. Rennaud fell into the arms of Skullbreaker weaker than he had ever been. The former knight's curse had only worsened the closer he got to his goal. Floating on the current of the Densac Gulf, Pickles' rapport with the sea gods continued as the company spear fished for barracuda and other marine life, encountering blobs of algae and torrents of fresh water rain to replenish their containers. Then on the fourth day, east of the islet they started from, a ship sighted their raft as the four languished under the bright, hot sun. It turned out to be an omen for the two disheveled sailors instantly recognized their former vessel, the privateer Lydia's Light. "I do not rigidly control alignments, except in the case of priests. All the characters are decidedly shady but not evil. As long as the PCs can at least trust one another, then it doesn't matter what their alignments are. The lawful evil fighter in my group has shown many instances of paladinlike behavior toward the common man and even his foes. You don't wear alignments like a badge; your actions define your character. In fantasy literature, the greatest heroes are what I term "shady". Elric, Conan, Fafhrd, and the Grey Mouser are all shady characters. Alignments never stopped any of them from doing the right thing in the end. The only recent characters from literature I can imagine fitting this description are Raistlin or Driz'zt. Why are the shady ones the favorites? They have more fun." While Brian started out in our gaming group playing my old AD&D wizard Mortellan in 2nd edition, he is best known for his romantic fighter-rogue Drake Adair. Brian had a knack for roleplaying charismatic characters but he also wanted to play the 'Big Fighter' for once after so many years of being the spellcaster. Drake was not only the Big Fighter he eventually became the new benchmark for characters in my Greyhawk campaign as it entered 3rd edition and beyond to Epic level. Even after Brian died several years ago, his character Drake still held a certain gravitas even to other players who only heard of his exploits second hand. Drake was just another adventurer until he rose to fame in the distant land of Ull, fighting in the pits under the nickname "Al Drak". After securing his freedom, Al Drak traveled with his shady fellowship (Hussan, Boz Shulun, etc.) 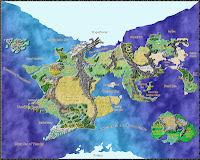 questing for and against powerful entites such as Abi Dalzim, Tiamat, the Earth Dragon and the Elders of the Lost City. Returning to the Flanaess, Drake Adair changed his name to Vogan Esche to avoid his shady reputation. He eventually settled down in Radigast City to win the heart of Countess Belissica. This easy royal life was not to last though as the higher powers called him to the outer planes for new quests and elevated him to Hero-God of Dragonslayers and Freedom. Drake's legacy lives on in the Flanaess through his growing religion and there is no dragon on Oerth who hasn't heard of Al Drak. While I was pointing out Wizard's latest April article on Barrier Peaks Thingamajigs, I nearly forgot to report on late March's conclusion to Chris Perkin's four part revision of the Giants series modules. These 4th edition compatible modules include Steading of the Hill Giant Chief, the original adventure Warrens of the Stone Giant Thane, Glacial Rift of the Frost Giant Jarl, and now the last and most deadly in the series: Hall of the Fire Giant King. You will need a D&DI subscription to download these Dungeon adventures of course, but for aficionados of the giants campaign these are almost too good to pass on. Chris Perkins writes: "In reimagining "Hall of the Fire Giant King," I’ve inflicted some violence to the maps and encounters to make the adventure a fun and balanced gaming experience. I hope that DMs who have fond memories of the original read this latest incarnation and feel the same overwhelming desire to run the adventure as I felt back in 1980, when I read Gary Gygax’s adventure for the first time." Clocking in at 62 pages, there is indeed alot here Greyhawk fans should be familiar with. King Snurre's hall still remains buried deep in the Hellfurnaces region of the Crystalmist Mountains. There are major side quests to confront or capture notable villains such as the evil dwarf Obmi and the scheming drow priestess Eclavdra from the city of Erelhei-Cinlu. As if those two aren't enough there's even more Greyhawkian characters that pop up in this epic (18-20 level) finale to the giant saga. So yes, even if you don't play 4th edition, there is bound to be plenty of giant-sized resources to plunder in this adventure for any DM's campaign. Well, well. Apparently not all the joke articles listed by Wizards are April Fools hoaxes. One has recently been posted, written by freelance game designer, Dave Chalker (head of the award winning blog Critical-Hits). His offering, Thingamajigs of the Barrier Peaks is yes, a 4th edition updated to the magitech found in the classic AD&D module S3: Expedition to the Barrier Peaks. You will need a D&DI subscription to download this content of course, but for the Greyhawk completist this and more concerning Greyhawk is surely on the horizon with D&DNext, so keep that in mind. "Surely you have heard the tales of the strange creatures that plagued the Grand Duchy. No? Well, allow me, your humble shopkeeper, to enlighten you today.These stories tell of how predatory creatures emerged from a gated cave at random intervals. The area defied all attempts at exploration until recently, when one expedition to the Barrier Peaks explored the caves to attempt to stem the tide of strange invaders. During their efforts, they found some unusual items and brought them back. Lucky for you, I have these very items on sale here. Let me tell you about them." Thingamajigs of the Barrier Peaks doesn't skimp on new stuff either. Told from the tales of a sole survivor named Kzunt, this article also catalogues several never before seen items that fit perfectly into the Barrier Peaks milieu such as the Confusion Ray, Chain Swords, Wheely Sleds and my favorite the Singularity Grenade. For anyone into genre-mixing campaigns this article is a must see even if you aren't into 4th edition or even Greyhawk. Enjoy! Sir Aris Westford was dragged to the captain's cabin to finally have his say, and all officers were in attendance. At first the two knights exchanged pleasantries, including a compliment for Rennaud's freshly painted kite shield emblazoned in the heraldry of the Sea Princes and memories of being pages together back in Gran March. Sir Aris then revealed to all why he was on the privateer Lydia's Light pursuing the Bird. The order of the Watch had done a recent internal investigation of Rennaud's old squadron, and found there was corruption and smuggling going on even several years after the alleged slaying of his knight commander. Worse yet, the cleric of Heironeous that Sir Eduard had appealed to for help but instead was castigated with a curse of weakness, was also exposed as a cultist of Incabulos, god of disease and nightmares. The crew of Lydia's Light thought they were hunting a criminal with a bounty when in fact the order wanted Rennaud to return a vindicated man. No ship-master in Keoland would seek the elusive knight-captain otherwise so Aris kept the "good" news secret until now. Captain Rennaud was suitably shaken by the revelation and his trusted staff were quick to point out that it could be a ruse to trick him into surrendering to the order. Rennaud was inclined to believe the knight's word, why else would he venture alone so far from home? After much debate back and forth Rennaud decided that true or not, his quest to remove the curse would continue. Sir Aris vowed to serve the captain in anyway he could until such time he would find atonement. Hammond and Tydan weren't thrilled with having the knight so close to the captain to influence his decisions so they suggested he be transferred to serve aboard Osprem's Kiss. The matter was shelved however as they were to arrive at Scuttlecove soon and the exchange of Captain Ironclaw McGrath for Lockard Meek was to test their resolve first. Meanwhile...on a tiny jungle island Henri Morgan was marooned with three other cast-offs from Lydia's Light: Ens. Sidney Whitecliff, Ens. Ludlow Harrowmire and handyman Ellis Blackwood. Sidney cowardly hid up a coconut tree while Ludlow followed Morgan into the island to look for high ground, foraging for food and water, and perhaps find out where they were. Blackwood trailed a bit behind, carrying the only useful spear and cleverly spotted a Karfar bush, noted for its deadly poisonous properties. Henri didn't learn where they were geographically, but they did discover two things; first boars were on the islet and secondly Harrowmire discovered a clump of regenerative healing Tarnas buds that Henri had been seeking for months. With Blackwood's eventual help and Henri's rope, they created a snare as the sun began to set. As a small boar got nabbed in their trap, another predator arrived to claim the prize...a huge white furred, four armed girallon! The monstrous simian clawed Morgan and went chasing after the rest as they ran back toward the beach. Sidney hearing the roars and cries of his comrades jumped down from his tree and took to the water. The others would soon join him including a rather fast running Henri. Once out of the girallon's territory it beat its chest with all four fists and lurked back into the jungle darkness to feast on the captured boar. For the humans it was time to dry off (avoid sharks as they bled in the water) and build a fire in the hope it would keep the monster away. That night Blackwood was paranoid. He had almost been eaten by a white ape and the men he was with were even less trustworthy; a pirate and two naval officers who would stick together. He quickly schemed to improve his chances at surviving longer by poisoning his rum with karfar and offering it to the others. Henri alone was eager to quaff the rum and as he felt the poison take effect he realized fast what it was and made to attack the man who had done it. A pistol shot went off and missed Blackwood by a mile, stirring all the jungle critters and scaring a couple jittery officers. It was Henri's one and only shot. Blackwood backed off feigning innocence while holding his spear. Henri rushed him, was struck then wrenched the spear from his hands. Ellis ran away along the beach and Morgan threw the spear at him, but the poison was making him ill and his aim was off. Speedy Henri gave chase, but as he ran and his heart began to beat faster causing the poison to course through his veins all the more. Time was running out. Back at Scuttlecove the next day, the two ships sat outside a bay littered with scuttled ships and sent up a flag to ask for parley. Their launch was met halfway by a rowboat led by a certainly vile man named Lt. Scuzz of the Laughing Rake, a Crimson Fleet pirate ship that also hunted Rennaud. The Bird's crew related the terms for a hostage exchange, Lockard Meek for their vaunted captain McGrath. Asking for proof of the captain's capture, Vic unsheathed and displayed the distinctive cutlass of McGrath taken in Sasserine many months ago. An accord was made and the pirates returned to get their prisoner. A bookworm for a pirate captain seemed more than fair enough to them. 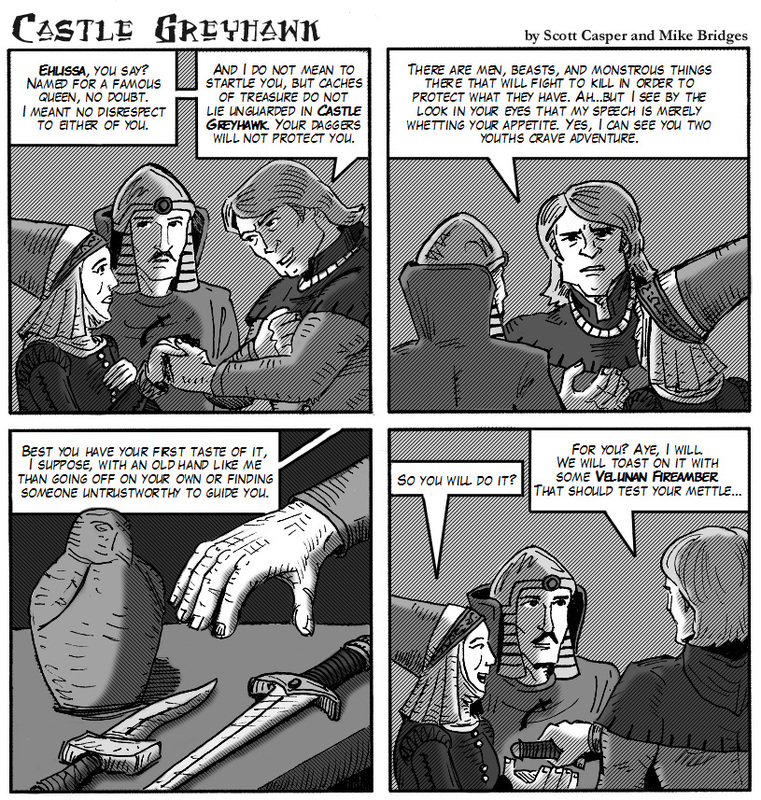 Page five of Scott Casper's Castle Greyhawk graphic novel series is now up over at our dedicated blog site where you can read it from the beginning. Commentary: In this issue we get our first glimpse of the renowned fighter Yrag. 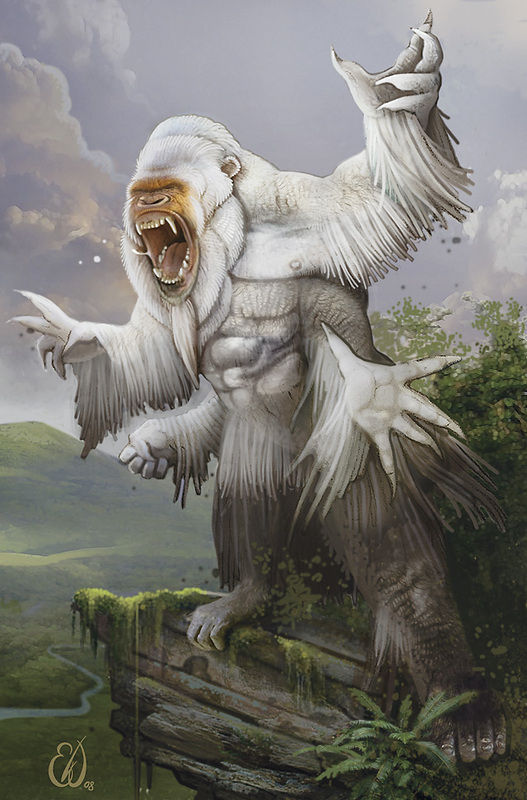 My own experience with Yrag is mostly through the published module WG5 Mordenkainen's Fantastic Adventure. This module also includes other popular NPCs from Gygax's heyday like Bigby, Rigby and of course Mordy himself. To me, Yrag has always seemed to be a low key character unlike his wizardly contemporaries. He is usually found in Greyhawk City but despite being called a lord, he has no castles or landholdings that I'm aware of, nor a coat of arms (like Lord Robilar for instance). I'd be keen to hear any Yrag lore I'm missing out on (yes, even from you Scott). Imagine the World of Greyhawk in the distant future, where the clones of Bigby, Melf, and other legendary heroes wage war against tyrannical dragon-cyborgs, Far Realm invaders, and other threats. This mini-campaign gives you everything you need to get your new campaign started! April Fool or not, sign me up! The city of Greyhawk is a smoldering crater, but all is not lost! In the dungeons below the ruins of Castle Greyhawk, Mordenkainen’s clone has discovered a portal to a “lost level” and clues to a time-travel machine built by the archmage Zagyg. A D&D adventure for characters of levels 10–14. Let me guess, the crater was created by the rolling rampaging Doomgrinder and Mordenkainen is going to time travel to 1998 Earth and kill Steve Miller before he can write the module. The Princess Ark, a legendary flying ship, has crashed! Explore the wreckage to find out what happened, and loot the bodies of the dead. 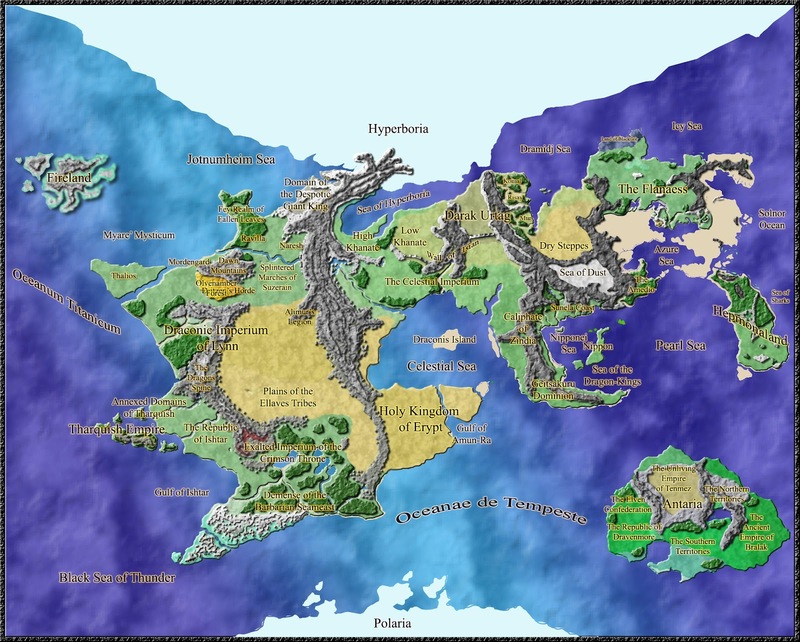 A D&D adventure set in the world of Mystara for characters of levels 1–3. Sure it's not Greyhawk, but the Princess Ark is a beloved article series from old. I'm sure Bruce Heard would get a chuckle from this one too. A year ago, a small group of Wizards employees visited the old TSR warehouse in Lake Geneva. Amid the boxes of old files and contracts, they found an unpublished adventure manuscript by Tracy Hickman combining the tropes of Vikings and Norse mythology with old-school tomb exploration. An AD&D 2nd Edition adventure for characters of levels 8–10. Again, sign me up for this April fool. Back in the day me and my friends would've waited in line to buy this at a convention! Nothing good ever came out of the Barrier Peaks . . . until now. If you’re ready to introduce futuristic alien weaponry to your campaign, this article is for you. What is it about Greyhawk that inspires people to be silly? Needless to say, I would read this article if given a chance, heck I'd make it our next Postfest topic over at Canonfire if I didn't think they'd revoke my forum priveleges. The famous D&D comic strip, last seen in Dragon #132, returns!